By subscribing to our mailing list, you will receive music and events news by email from Kongkretebass (only). It’s been over 6 months since Kongast’s host – Wash, been in the mix. 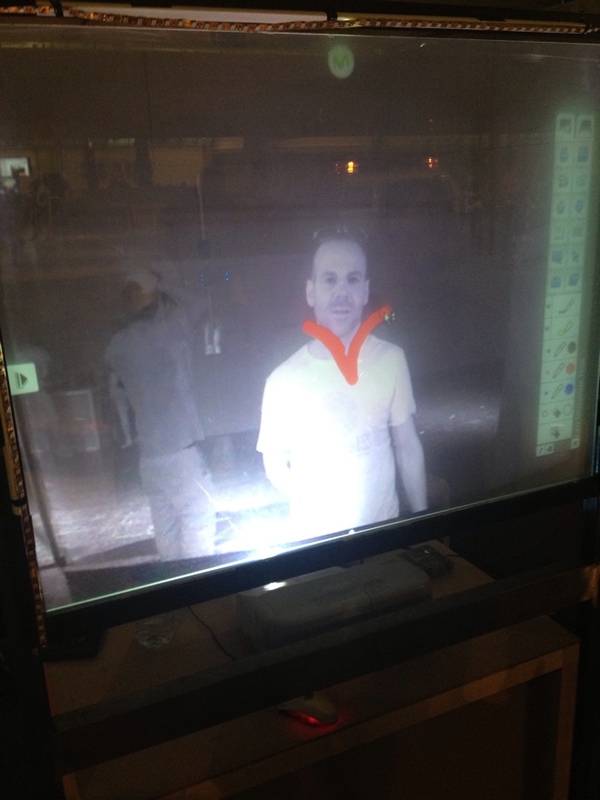 The last Kongkast was in fact in December 2012! So this week, Wash has been busy preparing a 2 hour mix of the various Bass he’s current playing. The mix includes a mixture unreleased dubs as well as recent releases of Dubstep, Trap, Footwork, and of course, Drum & Bass. With tracks by Goth-Trad, KrypticMinds, Cyrus, Distance, Méle, Slick Shoota, DJ GodFather, Rashard, Spinn, Stray, SpectraSoul , DJ Hazard and loads more. Since the last Kongkast, Wash have been busy with releases on a global scale. With his second release on Rankadank in early 2013, quickly followed by his debut on American Drum&Bass + Dubstep Labels, Section 8 + Section 8 Bass, which saw the release of Magnitude, World’s Demise and Deceleration. Forthcoming release for second half of 2013 includes a track for Robox Neotech‘s compilation LP, as well as his second release for Section Recordings, as well as a double single on Free Love Digi, all due after August 2013. ➜ Download MP3 HERE to subscribe to KONGKAST in iTunes – it’s FREE! Wash is the co-founder of Hong Kong’s premier Drum&Bass + Dubstep promoter Kongkretebass + Kongkast along side partner in crime Electronic Mistress (Elemiz), a Hong Kong based organisation which has been pushing the limits and boundaries in every angle possible promoting music events, website, as well as Asia’s biggest drum & bass/dubstep podcast in the region since 2006. 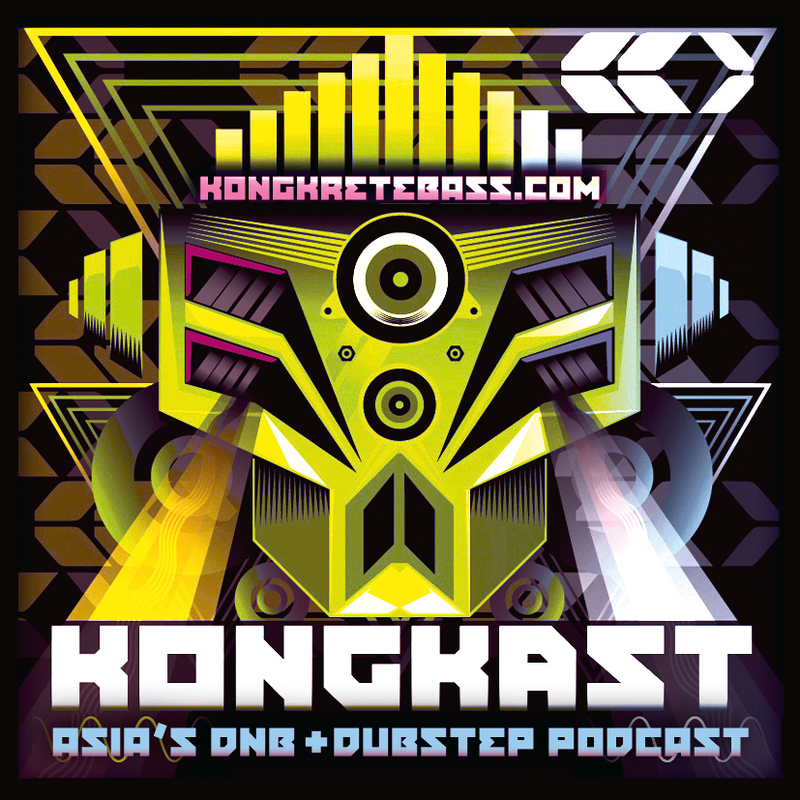 Kongkretebass have hosted some of the best Drum & Bass / Dubstep events in Hong Kong. Named by “TIMEOUT Magazine (Hong Kong)” as “Ever-present and deeply knowledgeable promoter”, Kongkretebass has been instrumental in the growing of the bass music scene in Hong Kong. Wash ventured into music in the late 90s when living in Sydney, Australia. He took to deejaying in the year 2000 with breakbeats, hip hop and later Drum & Bass. With over a decade of DJing, DJ Wash has developed his skills on the turntables in numerous performances throughout Asia as well as on the international stage. Regarded as the best Drum & Bass DJ in Hong Kong/China, and one of the best in Asia, he has share the stage with high-profile DJs such as Friction, Goldie, Breakage, SpectraSoul, Shimon, Big Bud, Chris Su & Jade, Lynx, Goth-Trad, Distance, Kode9, Kryptic Minds, Pinch to name a few. Wash convinces the crowds with dynamic sets, tight and aggressive mixing skills and a refreshing spectrum of styles in Drum & Bass, Dubstep, Trap and all things Bass in general. Not a surprise, that since his return to Hong Kong in 2005, he has been headlining many of the city’s major Drum & Bass nights in addition to international headline guest performances in Thailand (Bangkok), China (ShenZhen, Chengdu, Shanghai) & Germany’s Stroga Festival, Chemnitz, Cologne as well as his new home town of Dresden in Germany. Wash continues to push his studio work with productions and remix projects of his own deep, dark, tech-style sounds in the genres of Drum & Bass and Bass Music. Being the first Chinese born Drum and Bass Producer from Hong Kong to be released not only in China, but in Europe and America. His first release came in the form of a remix, where was asked by renowned Czech Republic’s Trash Pop band “100°C“ on “INDIESCOPE Records” to remix for their album “Brunt Rock” released in 2008. Having relocating to Germany in early 2012, his sound was quickly noticed by the local peers, and his first release can be found on a Dresden, Germany local CD Compilation called – Musik Freunde Kumpilation. Which was released in June 2012. Since the start of 2013, Wash has had a string of releases signings. With his debut release on high profile USA Drum & Bass / Dubstep Label – “Section 8 Recordings” as well as their sister label “Section 8 Bass”. Both releases are already left a mark on the label, as he has already signed his third release with Section 8, which is due to come out in the second half of the year. Within Asia, his second release for fast rising China based label “Rankadank Recordings” came out early 2013 call “Equilibrium EP. 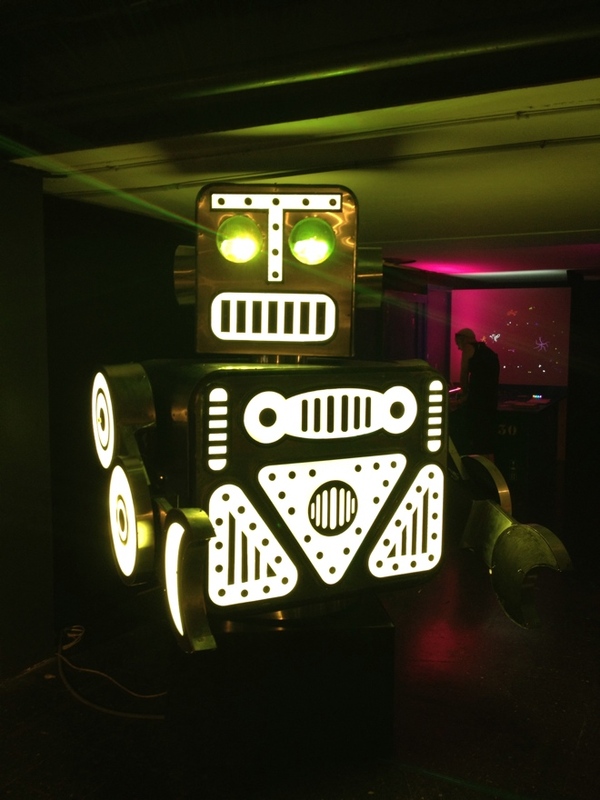 The second half of 2013 will see more forthcoming material to be released on Berlin’s infamous Electronica Label “Robox Neotech”, as well as an American Label called “Free Love Digi”. Posted: July 22nd, 2013 under Drum & Bass, Dubstep, News, Other, Tunes & Mixes. This week, we have a Drum & Bass mix full of unreleased music by French duo – KANTYZE [Feubo and Knockoutz] (Fokuz, SOM Music, IM / LTD / France). Since 2005, the duo has since chained outputs on many international labels including Fokuz, Freak,Citrus, SOM Music Mindtech, Trust In Music, IM / LTD, Melting Pot and heaps more , to date there are more than 50 outputs to its credit, regularly included in the drum and bass charts. With a unique style, their influences sound are varied and the duo always delivers a punchy and dynamic sound that has captivated the dancefloors from Paris to Berlin, and a wide variety of renowned artists such as audio, Raiden,The Upbeats,BTK, State of Mind,Chris SU, Klute, Jade, Octane & DLR, Sabre, Stray, Bulletproof, Telekinesis or Soul Intent. 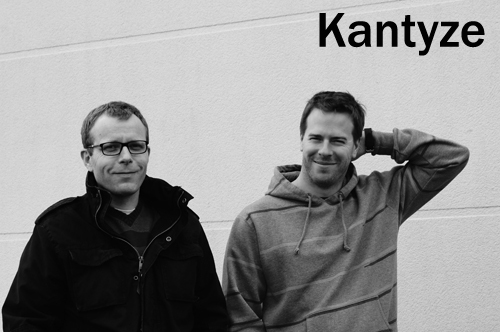 In parallel, Kantyze also takes care of m-Atome label distributed by Triple Vision, active since 2000, who has signed international artists such as Axiom, The Sect, Jade, State Of Mind, Chris Su or Sunchase to name a few. Many thanks to Kantyze for this mix, and thank you to Example Media UK for supporting and linking us up with their roaster and artists. 3. Bazil and Vibronix –fraction– dub ? Born in 2005 from the union of three players in the French sphere Bass Music (dj Ben & Feubo Knockoutz), but officiating in duo (Feubo & Knockoutz) since 2007, KANTYZE is one of the jewels of the drum and bass scene hexagonal. After a first album released in 2005, the duo has since chained outputs on many international labels including Fokuz, Freak,Citrus, SOM Music Mindtech, Trust In Music, IM / LTD, Melting Pot and heaps more , to date there are more than 50 outputs to its credit, regularly included in the drum and bass charts. Collaborating regularly with numerous performers drum & bass (Dabs, Disphonia, DBR , Future Signal, Bionic1 …), their influences sound are varied and the duo always delivers a punchy and dynamic sound that has captivated the dancefloors from Paris to Berlin, and a wide variety of renowned artists such as audio, Raiden,The Upbeats,BTK, State of Mind,Chris SU, Klute, Jade, Octane & DLR, Sabre, Stray, Bulletproof, Telekinesis or Soul Intent. The duo tackles many more musical styles. 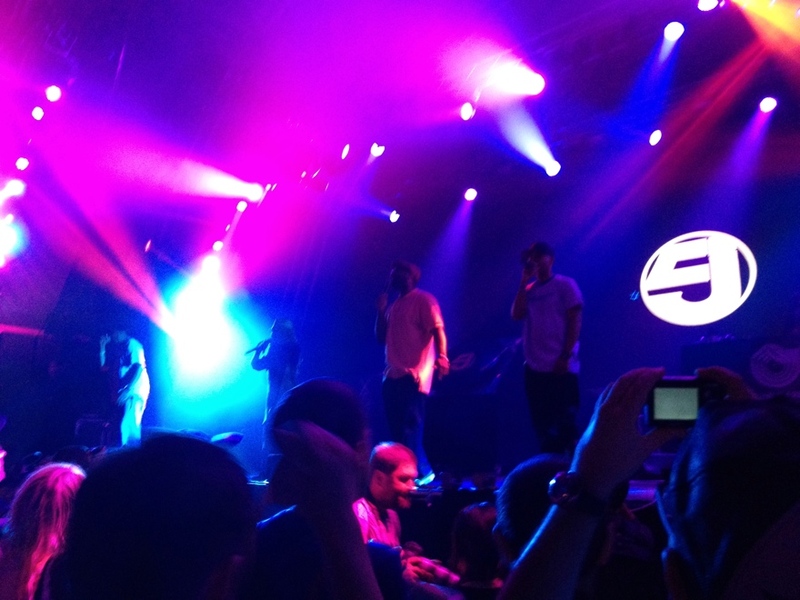 The electronica / IDM signed with the collective EBS on Bee Records, who released their first album in 2009 to critical acclaim. Dubstep, with signed pieces from their friends Chateau Bruyant, remixes for Irae Lee & Rubin Steiner, released by Platinum Records, the group Dragon Punch and an album in preparation for the end of year 2013 on the label IM: LTD . Eager to experiment, they continue the musical exploration in hip-hop with a remix for the French duo Comic Strip, without forgetting the Breakbeat and their cammarade DJ Prosper with and for which they made a remix for the label French Expressillion records funk breaks and various titles on breakbeat labels like Breakbeat Paradise, or VIM Pig Balls Records. The free demos and b-sides project from the duo entitled “Digging the Western Digital” gathering more than 50 tracks have exceeded 7000 downloads!! Posted: July 10th, 2013 under Drum & Bass, News, Other, Tunes & Mixes. This year, Kongkretebass was honored to take part in the media coverage for Sónar Barcelona 20th anniversary, and we can truly say, they celebrated in STYLE! 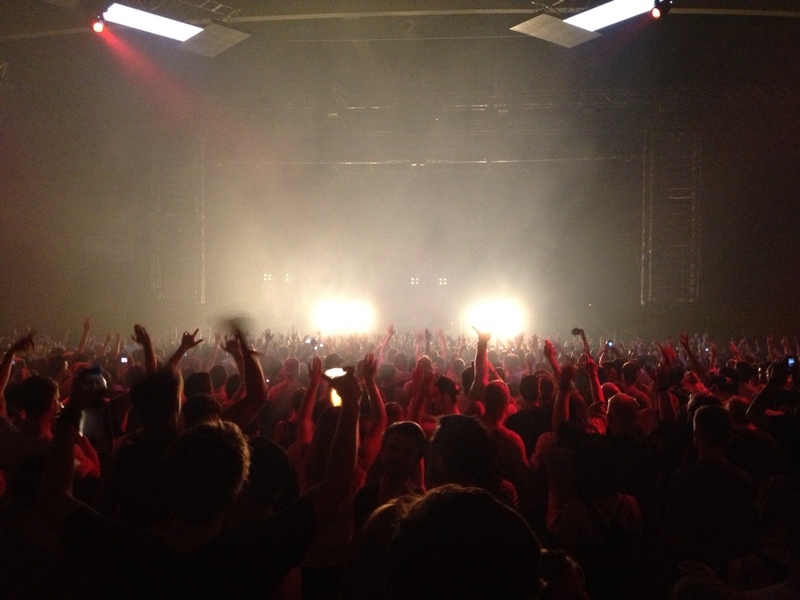 The amazing diverse range of music from the Sonar by Day, into the Sonar by night was really something each music lover has to experience once in their life time! From the Pet Shop Boys, to Bat For Lashes to Sherwood and Pinch, to one of our new favorite Trap DJs – Melé, the diversity in the few days were something that most festival have hit and missed, yet Sonar brought together music lovers from around to word and showcased the past heavy hitters, to the recent up-and-coming names. Our Sonar experience started on the Thursday, where we ventured mostly into the Sonar+D, Market Lab and the Hands on Area, where people are encouraged to interact with multimedia designers, new and exciting products. 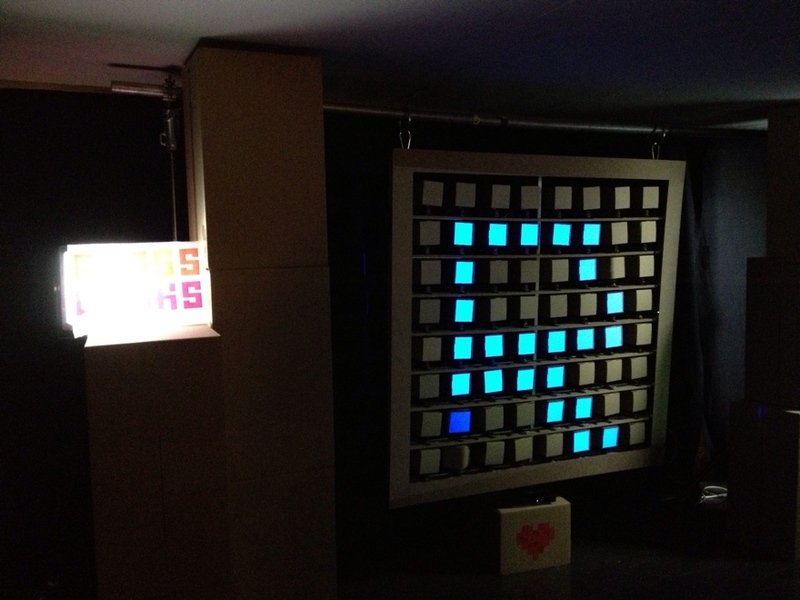 Coupe of stand outs for us was the Glassworks: Cubpix , which is an interactive cube where multiple users can interact with these cubes which can react to users in usage. We were not sure how we could use it in a every day bases, but needless to say, we had a lot of fun playing with it at the display stand. 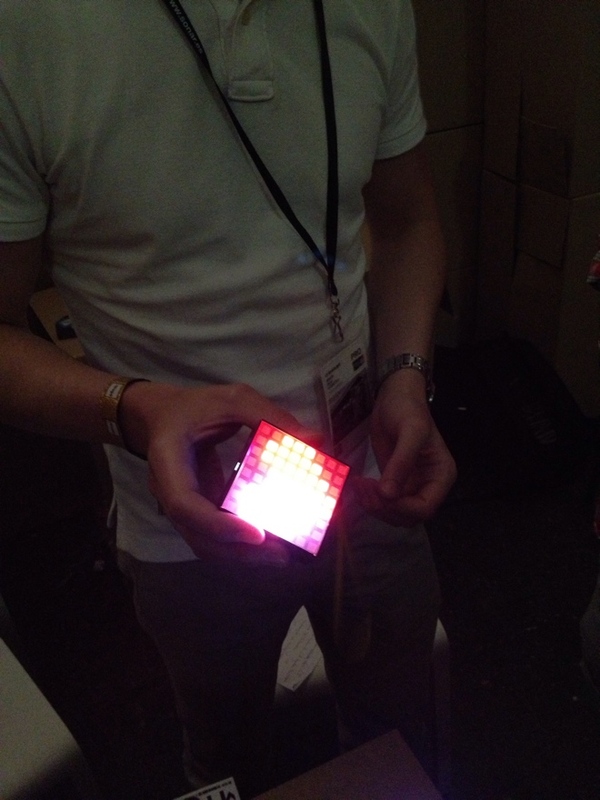 Another one of our favorite at the Market Lab was the L8 Smartlight. This small light box is capable of linking to your mobile device, where it can display any email received, messages from Facebook, Twitter etc. The L8 Smarlight is also capable of auto dimming if the surrounding light to bright than it, Noise Sensor, Motion Sensor etc. Having being told that they have already sold over 3500 units, expect to see this little L8 to hit stores soon, with plenty of users from young to old be fascinated by it’s incredible functionality. Now… On to the Parties. Sonar by Day which runs from early afternoon until 10pm, act by names like Mykki Blanco, Fantastic Mr. Fox, Rob da Bank, James Lidell, but the two that really impressed us on the Friday was Sherwood and Pinch. To our surprise, the crowd was a bit thin to start with, as they were the last set of the Sonar by day in the Sonar Hall. But musically, it was nothing we have heard in a long time, the true boundary breaking dub vibes with the signature Sherwood and Pinch’s individual vibes rolled into one hour of Live set. We were right down the front of stage, and to our left, there was none other than Ms. Mary Ann Hobbs head nodding and bouncing along side the crowd. Sonar by night has to be the highlight for a lot of people, as most of the big acts perform in the new venue of Fira Gran Via L’Hospitalet. The venue is y far one of the biggest indoor venues we’ve been to. From the main stage Sonar Club, where Bauuer and Kraftwerk 3D was, going into Sonar Lab, to Sonar Car, and lastly, into Sonar Pub, where I personally think, was where the action was! Bat For Lashes wasa very welcomed surprised. Her performance was inspiring and very up lifting, a true class act. 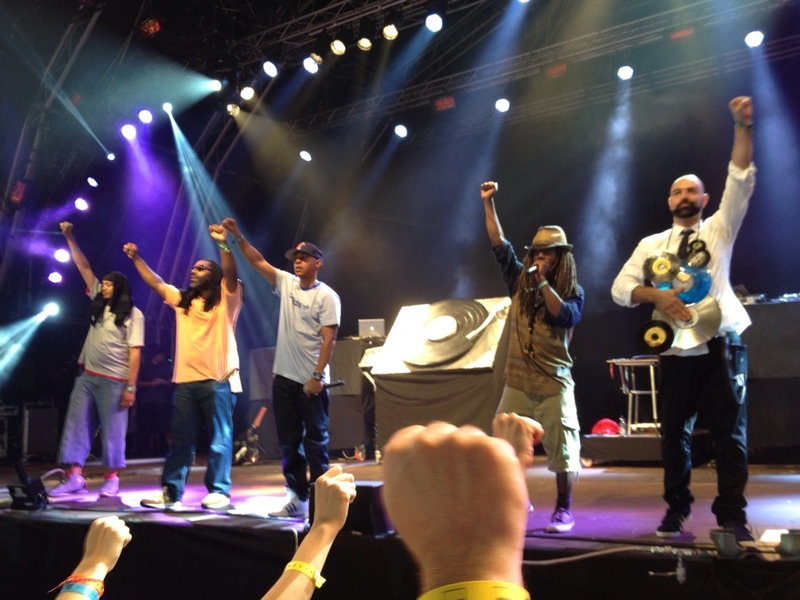 But my personal highlight of Sonar has to be Jurassic 5‘s come back show! From the get go, they started with a bang. Playing all of their classics from Concrete Schoolyard, What’s Golden, to Quality Control, all the best of the best, and the crowd was NOT disappointed! Was really an hour of power, and was really was great seeing the band get back together after so many years away. 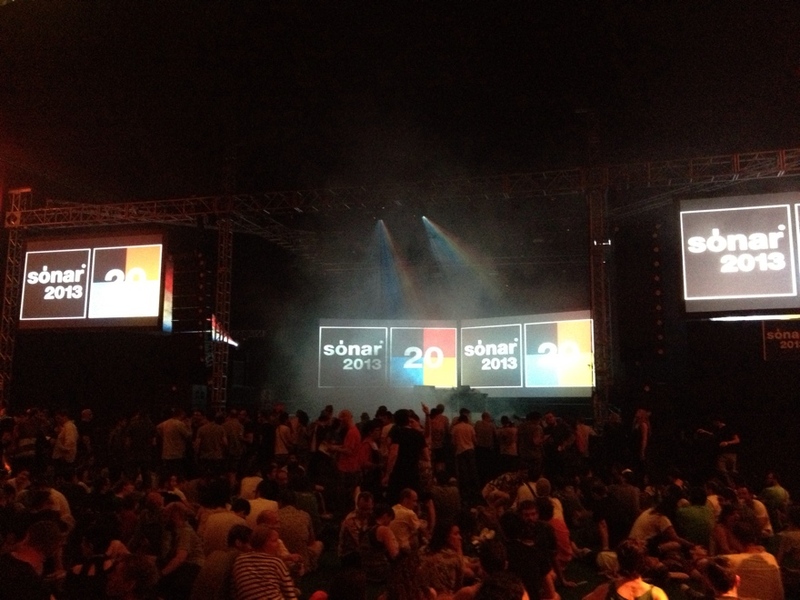 All in all, Sonar 20th Anniversary left us wanting more! And what a location to host it! 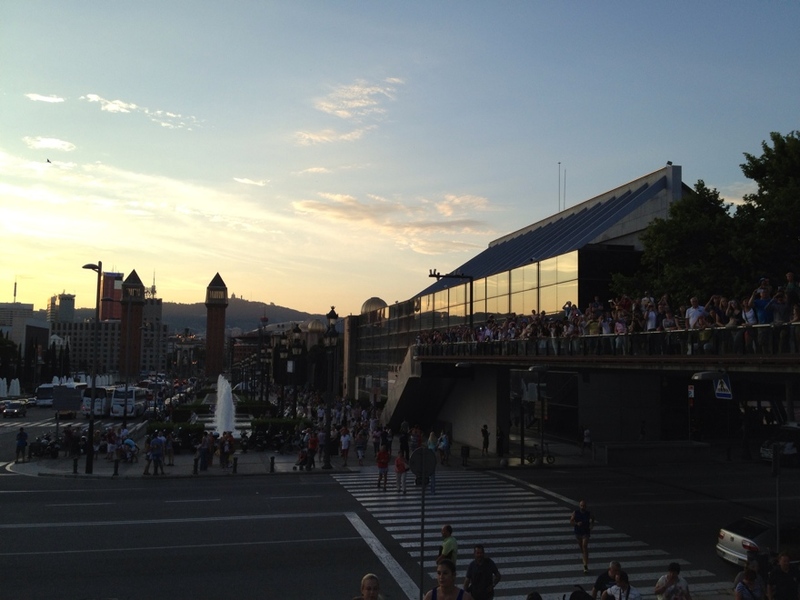 The beautiful city of Barcelona, over the 4 days, played a true host to the 120,000+ Sonar parties goers (as well as their regular tourist of course). We could not say how delighted we were to be partying in such a beautiful city. 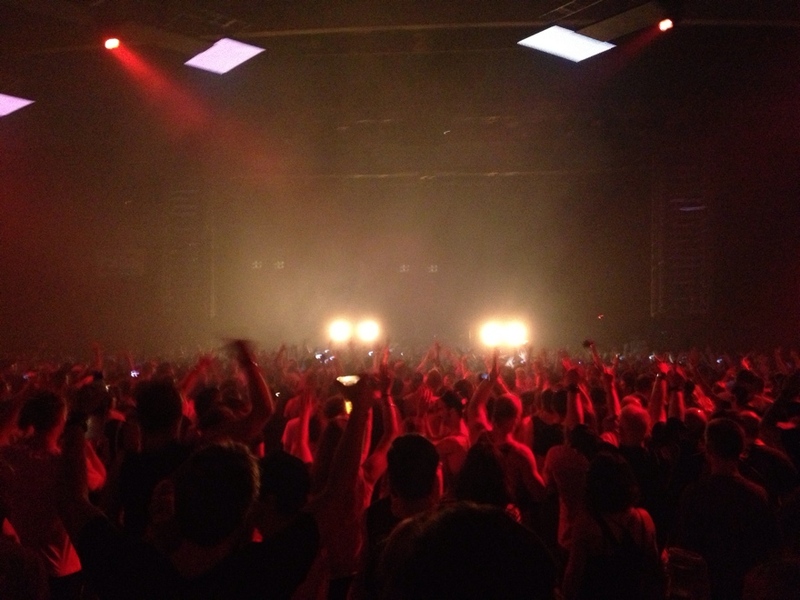 Thank you Sonar, you have left a mark, we will be back! And for all those who are thinking about travelling to Barcelona in the near future, make sure you put Sonar on the “must-do” list! Posted: June 24th, 2013 under News, Other. This week, we are delighted to bring you this tasty exclusive Asia Tour mix by Med School’s talent – Joe Syntax (Med School Music / UK). 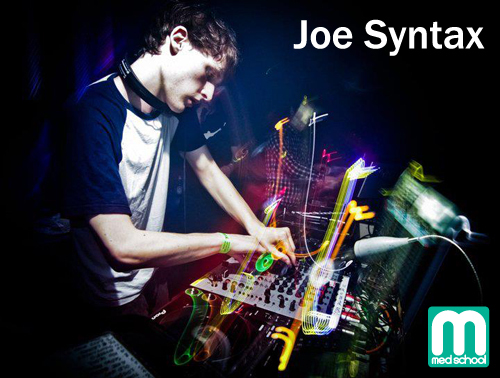 Joe Syntax is a London based Electronic music DJ and producer. Joe has carved out a niche for himself, focusing on D+B and electronica with a distinctive sound and discernible dancefloor edge. He started producing in 2007 and has since gone on to release on a number of labels including Hospital, Med School, Spearhead, Phunkfiction and Allsorts. Joe came to the attention of Med School with his track “Expectra”, which enjoyed iTunes Dance Album Top 10 success as part of the “New Blood 010″ compilation. He went on to sign exclusively to Med School and has not looked back since. For those who are in Asia, don’t snooze on this chance to catch Joe Syntax at a club near you. Hong Kong – June 15 @Love da Cafe <<< Hong Kong headz! This one by HEAVY HONG KONG! Many thanks to JOE SYNTAX for this diverse bass mix! 27. Joe Syntax – ???? Prodigious new talent and recent Med School signing, Joe Syntax is a London based Electronic music DJ and producer. Originally from Norwich and now residing in South London, Joe has carved out a niche for himself, focusing on D+B and electronica with a distinctive sound and discernible dancefloor edge. He started producing in 2007 and has since gone on to release on a number of labels including Hospital, Med School, Spearhead, Phunkfiction and Allsorts. In this time, he has also garnered support across the board, from the likes of High Contrast. London Elektricity, Friction (Radio1) & Netsky to Mistajam (Radio1), Annie Nightingale (Radio1), Mary Anne Hobbs, Laurent Garnier & techno legend Carl Cox. Posted: May 28th, 2013 under Drum & Bass, Dubstep, News, Other, Tunes & Mixes. The line-up for this Sónar Barcelona (13.14 & 15 June) 20th anniversary takes the form of a celebration, in a combination of a selection of great classics, new ideas for dance music and the festival’s usual experimental spirit. Around 130 artists will be included in a line-up for which will be finalized in the coming weeks. Sónar reinvents the uses of an emblematic space, shortens the distance between Sónar by Day and Sónar by Night and maintains its centrality and its status as an urban festival with its new location for Sónar by Day in Fira Montjuïc. In the festival’s 20-year history, Sónar has hosted more than 1.2 million visitors and has presented more than 7,000 artists from the world of music and disciplines such as audiovisuals, digital creation and multimedia art. Sónar is celebrating its 20th anniversary with a big birthday party! On one side, the essential benchmarks like Kraftwerk (with their 3D show), Pet Shop Boys, Derrick May, Matthew Herbert dj, or Laurent Garnier. Artists who are the perfect guests at a party featuring dance at centre stage: Lindstrom & Terje, Skrillex, Diplo, Paul Kalkbrenner, Justice djs, Modeselektor djs, Major Lazer, Soulwax, TNGHT, AlunaGeorge, Karenn, Jamie Lidell, Liars, Francesco Tristano, Fatima Al Qadiri, Delorean or Mykki Blanco. Posted: May 17th, 2013 under In the region, News, Other. 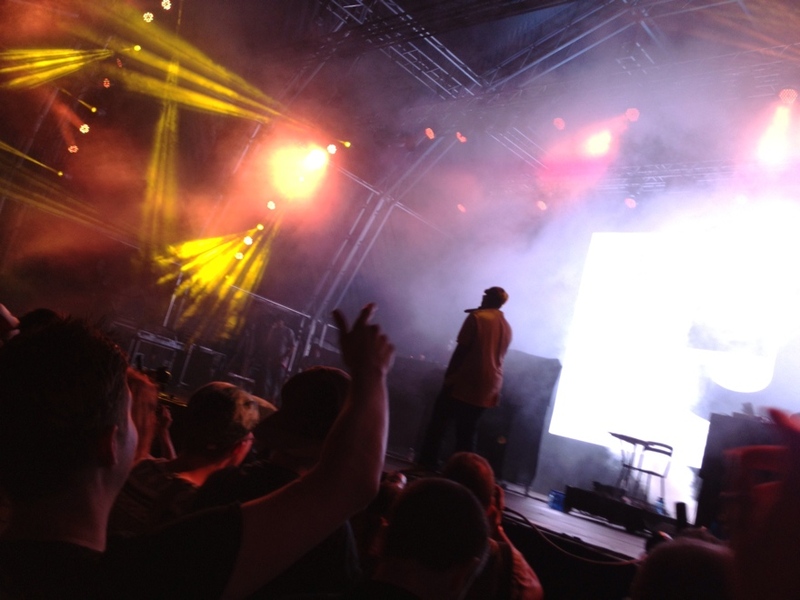 Outlook Festival runs from midday Thursday 29th August 2013 – 6am Monday 2nd September 2013. Now in it’s 6th year Outlook is widely recognised as Europe’s largest bass music and sound system culture festival. The largest Bass music and Soundsystem Culture festival in Europe, featuring the biggest names from the most vibrant and cutting edge dance scenes around. Mos Def aka Yasiin Bey / Capleton / Talib Kweli / Anthony B / Jay Electronica /Alborosie & The Shengen Clan / The Pharcyde / David Rodigan MBE presents Ram Jam /Mala In Cuba (Live) / Bonobo (DJ set) / Andy C / Rustie / Pharoahe Monch / Joey Bada$$ / Goldie /LTJ Bukem / Shy FX / Digital Mystikz – Mala & Coki / Gentleman’s Dub Club / Dusky / Kode 9 /Calyx & Teebee / Pinch / Boddika / Loefah / Task Force / Benji B / DJ EZ / Enei / XXYYXX / and MORE. For more information please see the Tickets, Travel & Accommodation pages for further details. Next monday marks just 101 days until Outlook – and what better way to celebrate than by releasing the boat party tickets. There are just 180 tickets available for each boat party, and for some parties these will sell out within minutes so make sure you’re ready to buy yours when they do go live. Boat parties go on sale Monday 20th May at 8PM (BST), and are priced at £17 + bf each. For full info, including line-up’s, see the individual pages – we will be adding more artists throughout this week so check back before purchasing. Posted: May 11th, 2013 under Drum & Bass, Dubstep, News, Other. This week on KONGKAST, we head back East to our home town of Hong Kong, to check out who we think is one of the local up and coming deejays to watch – ANADONIC (Perth / Australia / Hong Kong). Originally from Perth, Australia, Anadonic have been based in Hong Kong since 2010. With his love for all things music, he quickly fell in love with what Hong Kong had to offer in terms of underground electronic music scene, particularly the bass heavy nights put on by the likes of Kongkrete Bass and Heavy HongKong. Not long after his endeavors into the Hong Kong deejay scene, Anadonic’s knowledge and passion for bass music was quickly noticed by the founder of HEAVY Hong Kong. Since middle of 2012, Anadonic found him self performing at different spectrum of Bass music, including Dubstep, Juke, Footwork and of course, Drum & Bass. In the short period of time, he is seen supporting the HEAVY Hong Kong local events as well as support for regional crew such as Bay Beats Club (India), as well as the likes of Tes La Rok, Dub Phizix and Sabre. Many thanks to ANADONIC for this rolling bit of Drum & Bass for Kongkast! 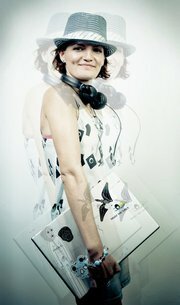 Anadonic is a bass music DJ originally hailing from Perth, Australia, now living in Hong Kong SAR. After arriving in Hong Kong in 2010 Anadonic quickly fell in love with the electronic music scene, particularly the bass heavy nights put on by the likes of Kongkrete Bass and Heavy HongKong. After hovering around for a while he started learning to DJ in his bedroom. 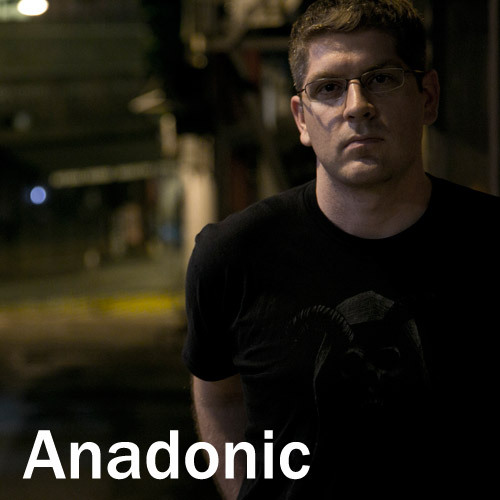 Anadonic main focus is drum & bass, with a taste for complex rhythms, dark intensity and aggressive drive. With his diverse knowledge into spectrum of bassmusic, he also dabbles in deep dubstep, uk garage and other bass heavy music styles. Posted: March 27th, 2013 under Drum & Bass, News, Other, Tunes & Mixes. Welcome to the 2013 KONGKAST series! YES! We start off the series with an exclusive Trap mix by one of our new connections in Hamburg, Germany – PHOKUS (WOBWOB! , Police In Helicopter, Scrub A Dub, Saturate Records / Hamburg, Germany). 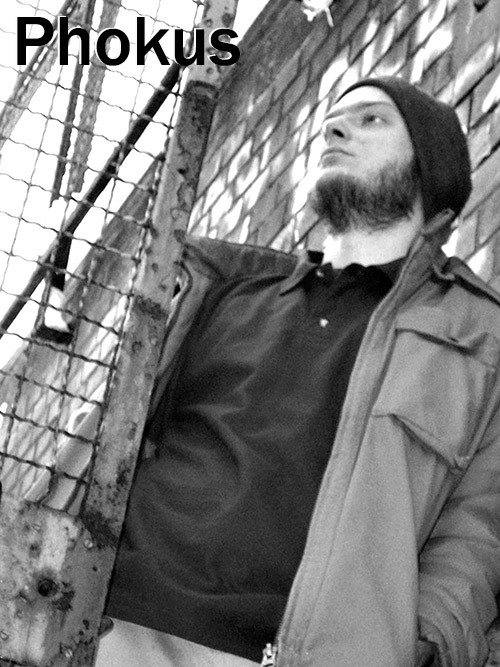 The Hamburg-Germany based bass-music producer / Promoter / DJ started with DrumnBass, TripHop and Garage. And in 2004 he got infected by grime & dubstep through internet-radio-shows. With his first release 2006 on MG77-RECORDINGS featuring the UK Grime MCs TINCHY STRYDER and DIRTY DANGER. Since then, Phokus have had releases on labels like POLICE IN HELICOPTER, SCRUB A DUB and SATURATE RECORDS. In this KONGKAST, Phokus’ diversity is shown with a combination of several styles of bass-music, concentrates mostly on Trap-Music. Check out his Soundcloud for all of his latest productions and mixes. Keep an eye out for couple of Forthcoming EPs by Phokus’ collaboration DJ GRAPES (Hamburg) out in stores soon. Many thanks to Phokus for this heavyweight Trap Mix! 23. Spol – Ape Attack! Posted: February 4th, 2013 under Dubstep, News, Other, Tunes & Mixes. This week on Kongkast, we are moving a little away from our usual flavor of Drum & Bass or Dubstep, instead, we have a very special mix by one of the headline artists whom we have had the delight of seeing perform a Live Set at the recent MELT! 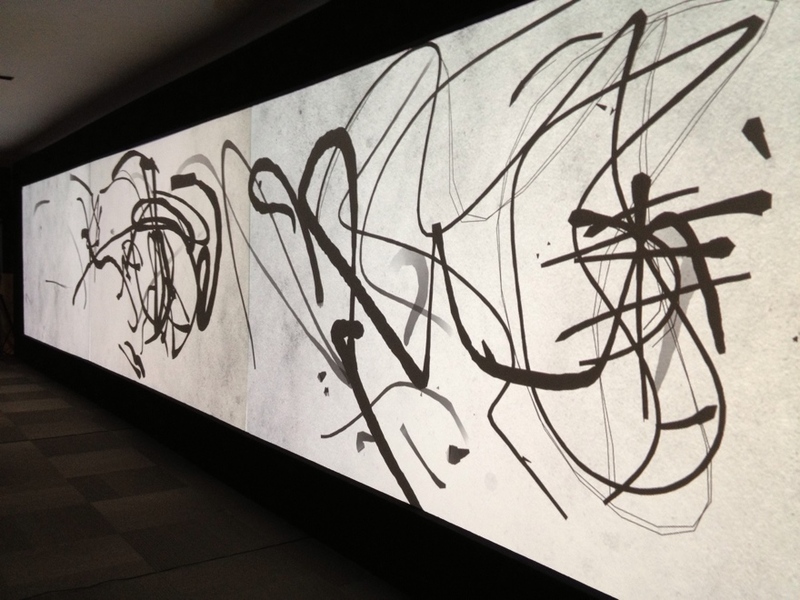 Festival 2012 – PHON.O (50 Weapons, Monkeytown / Berlin, Germany). PHON.O started to play records with his mate Apparat in the early 90s. Since 1998, PHON.O started to create his own music and emerged in the spring of 2000 with his first release, on Cytrax. In 2008 the results of CLPs (Chris de Luca plus Phon.o) dirty collabo got released as the EP Ready Or Not on BoysNoize Recordings, which included remixes by Diplo and Mixhell. With the beginning of the new decade Phon.o started working on new songs and put his hands on remixes for Modeselektor, Boys Noize, Schlachthofbronx and Robot Koch. Since 2010, PHONO.O have had consistant releases on various labels including the mighty Modeselektor’s “50 Weapons” and as well as “Monkeytown Records”, so expect plenty more from PHON.O in the future to come. Also, do not ever snooze if you ever have a chance to see PHON.O play a Live set, his Live performance is surely something to remember. Many thanks to PHON.O for this very unique mix on Kongkast! Posted: August 15th, 2012 under Dubstep, News, Other, Tunes & Mixes. 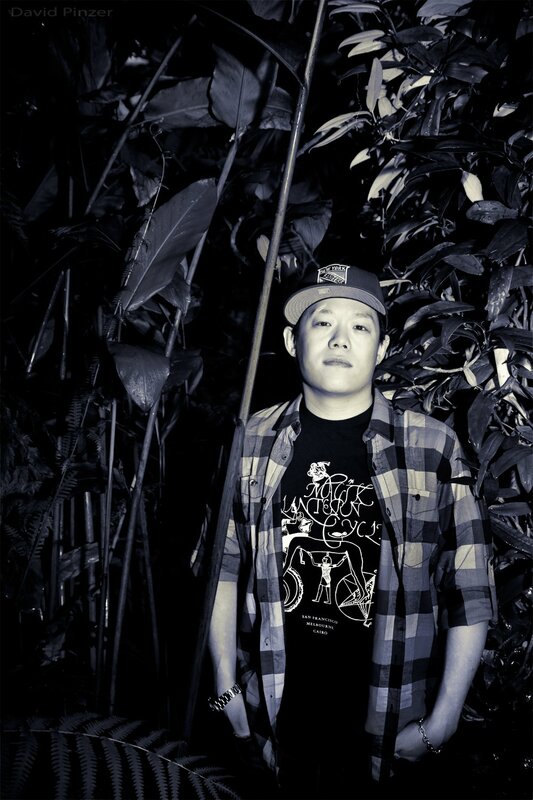 Kongkretebass News: “Introducing: DJ Wash (Hong Kong)” Kmag (Knowledge Magazine / UK) 2011 Interview. Kongkretebass’ DJ Wash has been featured in the latest Knowledge Magazine (KMag) UK. Don’t forget to check out DJ Wash’s latest track ” Equilibrium” also feature in the interview. Posted: May 18th, 2011 under Drum & Bass, Dubstep, News, Other. © 2019 Kongkretebass + Kongkast - Website based on a design by Techdesigns.co.uk.